Life is busy, with full time jobs, spending time with children, driving to here and there for appointments (gym, grocery store etc..) Driving your kids around for school, sporting events, Having a healthy, delicious meal on hand at home is often hard to come bye. So we stop off at the drive through and order food that we have no idea of what is actually in the food and no idea how its going to make us feel in a couple of hours. Oh and you dropped 10-20 dollars! Taking an hour or two on the weekend or a slow work day to chop, cook, julian, braise etc..Can make a situation like the one above, a thing of the past. Think about this for a minute, you come home and you have 30 minutes to eat and run out of the door. To prepare a delicious meal that is colorful and provides the protein, carbohydrates and fats and eat it in 30 minutes is virtually impossible! If you spent some time food prepping and have containers of veggies, meats, sauces ready to go, you have time to eat and probably relax for a few minutes! 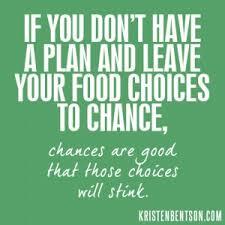 All the while controlling the ingredients, and controlling the portion sizes that fit your particular diet!! There is a reason the supplement industry hit 11.5 Billion dollars back in 2012. 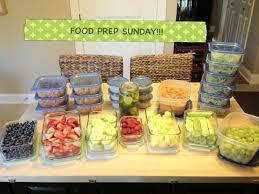 People are busier than ever and grabbing a protein bar or a shake is an easy way to get a meal in. I’m not bashing supplements, they are a SUPPLEMENT to your diet, and for some people a bar and a shake may be their BEST option..But for the majority of people have time to whip up a delicious meal and save the bars for a time of need. 1. It allows you to stay on your diet! Preparing foods ahead of time ensures that you know what your putting in your mouth and you get to control the portion sizes. Adding a sauce to a dish can completely turn a dish into its ok, into its great! Try this one: Paleo Stir-fry sauce. Ingredients: 1 clove garlic, minced, 1/2 teaspoon crushed red pepper flakes, 2 teaspoons Chinese five spice powder, 1/2 teaspoon rice wine vinegar, 2 tablespoons of fresh orange juice, 3 tablespoons of coconut aminos. Use as a dipping sauce for protein, or pour it over veggies and protein for homemade stir fry. 3. Save Money!! Most people do a big shopping day usually on the weekend, then a small one during the week. Those trips usually cover the budget on groceries for the week. You go out to eat for dinner for 2 or more, eat out for lunch a couple times, you have just spent 50-75 dollars. 4. Allows more time to relax and spend time with family. 2 Hours spent on a Sunday chopping and cooking is a far cry from spending an hour or more a couple of week nights when you get home from work cooking dinner. Food and sauces prepped with spices on hand, you can whip up something in 10 minutes. Try this combination. Ground Beef, red cabbage, spaghetti squash, parsley, red bell pepper, garlic and the Paleo stir fry sauce above, salt and pepper. Toss in a large skillet, for 8-10 minutes. Dinner is served! 5. It allows you to prepare different meals for those picky eaters in the family.Your son or daughter does not like a certain food, your wife does not want this food. With the assortment of veggies, meats, sauces, spices you can put together something for everyone and make each individual happy. If you have not spent some time rattling pots and pans and getting the Tupperware containers filled with food for the week I welcome you to give it shot and see the reasons listed above come to reality.